The Los Angeles Rams will match the two-year, $3.25 million offer sheet for restricted free agent running back Malcolm Brown, according to a report from NFL Network's Ian Rapoport. Source: The #Rams are matching the two-year, $3.25M offer sheet for RFA RB Malcolm Brown, source said. They keep him, the #Lions will keep searching. He gets a $100K signing bonus and $1 million guaranteed. Brown signed the offer sheet with the Detroit Lions, but the Rams will keep the 25-year-old, giving him a $100K signing bonus and $1 million guaranteed, according to Rapoport. 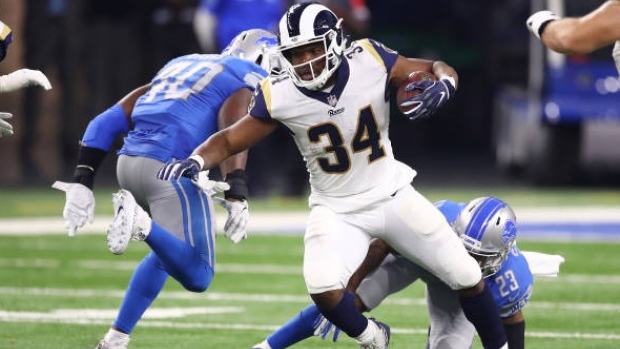 Brown has spent all four years of his career with the Rams, and finished last season with 43 rushes for 212 yards and five receptions for 52 yards.